An abstract minimalist exploration of the stroboscopic effect. This atonal audio composition and the accompanying visual piece is generated from a series of sawtooth and sine waves, at extremely varying frequencies. These waves are cross-modulated in different ways, using complex chains of Boolean operations to alter the sound. The role of modulating sound waves is stretched to that of musical sequencer (triggering the musical progression), the tonal, timbral, harmonic as well rhythmic devices. 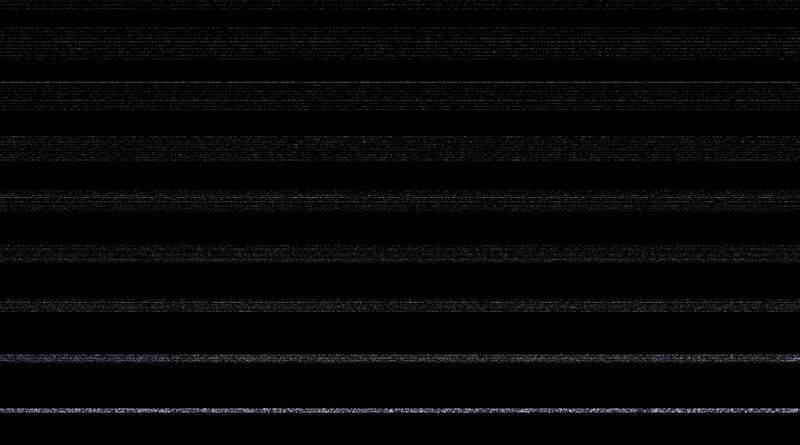 In the visual piece, lines of white noise are dropped downward at varying speeds. This motion is controlled by the same principles of waveform modulation. The pixels are shifted into drifting changing patterns with Boolean operations based on their relationship to one-another and their position in space. Once their motion reaches a high enough speed, an optical illusion (stroboscopic effect) is formed where they appear to slow down and change direction- to move upward, or at times horizontally.